Plaster skimming (finish plaster) is arguably the most common form of plastering & though there are other types of plastering, This is what most people associate the term 'plastering' with. Skimming involves applying thin layers of plaster over existing defected walls & ceilings to create a smooth surface ready for decorating. Finish plaster is essentially crushed gypsum stone. Gypsum returns to its natural state when in contact with water. During this rapid set process the plasterers job is to apply the material to your walls & ceilings then,Using a steel trowel he works the material to acheive a polished finish before it sets permanently.The plasterer has a window of around 90 minutes to acheive this & so a high level of skill is required especially when plastering large surface areas. The interior walls & ceilings of buildings are plastered mainly for cosmetic purposes. Plaster is also used for fire protection & contains some insulation value. Todays plaster products also include magnetic plaster & plaster that purifies the air within a room. What should I expect when having the plasterers in? Plastering is a 'wet trade' and involves combining powder & water on site.As a result, Dust is inevitable. To combat this,The plasterer must make efforts to protect floors & furnishings & will normally mix the plaster outside where possible. Rooms need to be clear for plastering especially when plastering ceilings. Power & water will be required & windows/doors should be unlocked incase your plasterer needs to air the room. In order to ensure a high quality finish, Your plasterer will overhaul the walls & ceilings using a steel blade. Any pins, nails, screws,flaking paint & residue wall paper will be cleaned off during this stage. Once cleaned, The plasterer will asses the walls & ceiling to make sure that they are square & true. Usually an experienced plasterer will use his eye to asses this. If surfaces are in poor condition they may require 'making good' or repair work. This could include filling out hollows (sections of the surface which are inverted. It could also include chopping out 'bowed' or 'bent' sections which will involve hacking away some of the surface. If the plasterer fails to include these vital stages of the job then the overall finish & quality will be severely compromised.A well prepared surface will enable for a high quality finish. Is plaster applied straight to the walls? The walls must be treated with a bonding agent such as PVA or SBR chemical before plaster is applied. This stage of the job is crucial & is the main cause of failure if overlooked. The bonding agent seals the surface ready to receive the plaster,without a seal, new plaster will 'snap' (crack & delaminate) Thinning down of the bonding can also cause failure & the ratio must be exact.certain products such as plasterboard do not require sealing & can be plastered direct. How many coats of plaster? Any plasterer worth his salt will always apply two coats of plaster - A base coat followed by a thinner top coat. The reason for this is because the compound shrinks upon curing & if applied too thin, will not close in sufficiently to produce a durable,uniform finish. One coat work will likely result in a patchy, fatty finish with imperfections. To the untrained eye one coat work can appear similar to two coat work however, certain paints,sunlight & spot lights soon reveal any shoddy workmanship. Unfortunatley, one coat plastering is happening often due to incompetence but also because large developers encourage contract plasterers to work by the meter & so indirectly create an incentive to rush a job that was never designed to be rushed. Any professional plasterer will include stainless steel corner beading into his work & generally this is industry standard however we often come across jobs where corner beading has not been installed resulting in weak, buckled corners. sharp corners will stand out & create clean lines, without crisp, plumb bead work, plasterwork loses its integrity. Most retailers will stock stainless beading but beware of beading that is not galvanised which may rust over time. Finish texture- How should the finish look & feel? Properly finished two coat plasterwork should be left immaculate. the shade should be uniform,have a slight marble-like appearance & feel matt-smooth like eggshell. It should be free from defects, trowel marks & blemishes & should not require any sanding or filling before paint. A taboo topic of conversation in the plastering trade is cracking. Many plasterers will not guarantee against cracking when replastering because there is no way to detirmine whether a surface will crack or not. Having said this there are solutions on the market today that can significantly reduce the likelihood of your walls & ceilings cracking one of which is fibreglass reinforcing mesh. Fibreglass mesh is a relatively new product & when bedded into wet plaster can stabilize a surface enough that hairline cracks are often a thing of the past. This product works wonders when plastering over old, tired walls that maybe weak & fragile but which also contain period features such as cornicing, picture rails & skirtings. The drying time of your newly plastered walls will often depend on airflow, humidity, the depth of the plaster ect. In summertime you can expect a skim coat to dry out quickly, 2-4 days. In winter months, bad weather, rain,frost will slow down the drying time and in some cases it can take upto 2-4 weeks for the plaster to fully dry ready for paint. It is never a good idea to apply heat to wet plaster in an attempt to force dry it-This can cause the plaster to crack & delaminate, If deadlines require a speedy dry out then a dehumdifier will help to cut down the wait otherwise just good airflow & patience. 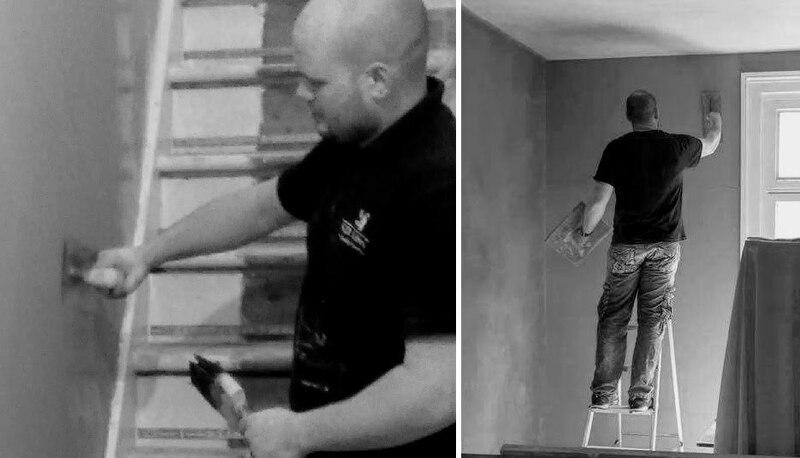 Painting your plaster is always best left to a professional decorator who will seal new plaster with a mist coat ready for decorating & will compliment good plasterwork with sharp cutting in and correct paint application. It can be counter productive to pay for a professional plasterer only to have his work ruined by an amateur painter. SD Roberts Quality Plastering offers a first class professional Plastering service in Warwickshire & is proud to guarantee all work. With 17 years 'on the trowel' experience & dozens of 5 star google reviews we stand on the shoulders of the repeat customer, not on the latest pop-up trade association. 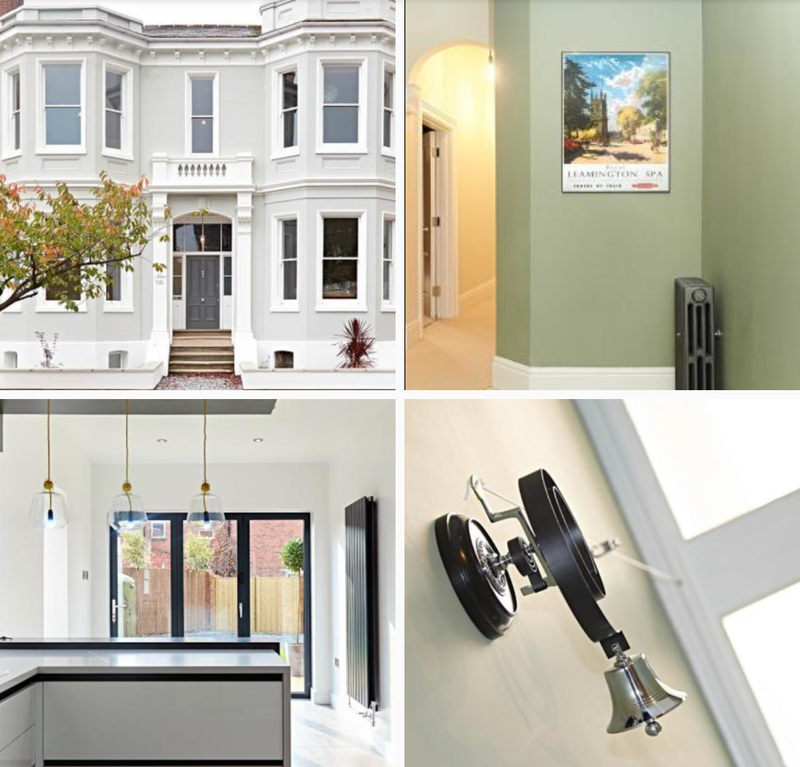 Plastering is our passion & we will do everything we can to ensure we stay at the cutting edge of Quality workmanship, Quality communications & Quality customer service.